Follow the SC BBQ Trail. 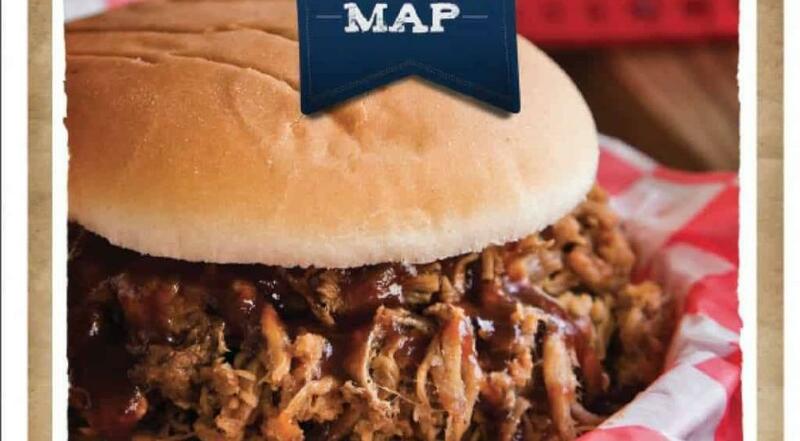 Download the Official South Carolina BBQ Trail Map here. The SC BBQ Trail map is a great resource put together by the South Carolina Department of Tourism. It divides the state into territories and identifies many, though not all, of the barbecue restaurants in the state within each territory. The map is well designed and offers a lot of information in a quick glance. It not only provides the name and address of each barbeque restaurant in South Carolina, but it also provides the phone numbers, websites, and hours of operation. And if you’re paying close attention, you will notice each entry has one or more colored dots beside it. These dots indicate the type of BBQ sauce the restaurant provides. If you don’t already know, South Carolina is awash in a variety of sauces, mostly dictated by geography. We have four distinct sauces: vinegar-pepper, light tomato, heavy tomato, and a mustard-based sauce that is unique to SC BBQ. These are designed on the map by correspondingly colored dots. All of this can be found on the Official South Carolina BBQ Trail Map. Get your copy by clicking the link below. It is a more complete map and includes over 40 restaurants omitted from the official SC BBQ Trail map. Save it as an “app” on your phone (see bottom of map page for details). Still want your own copy of the map? Certainly don’t blame you. We keep one handy ourselves! 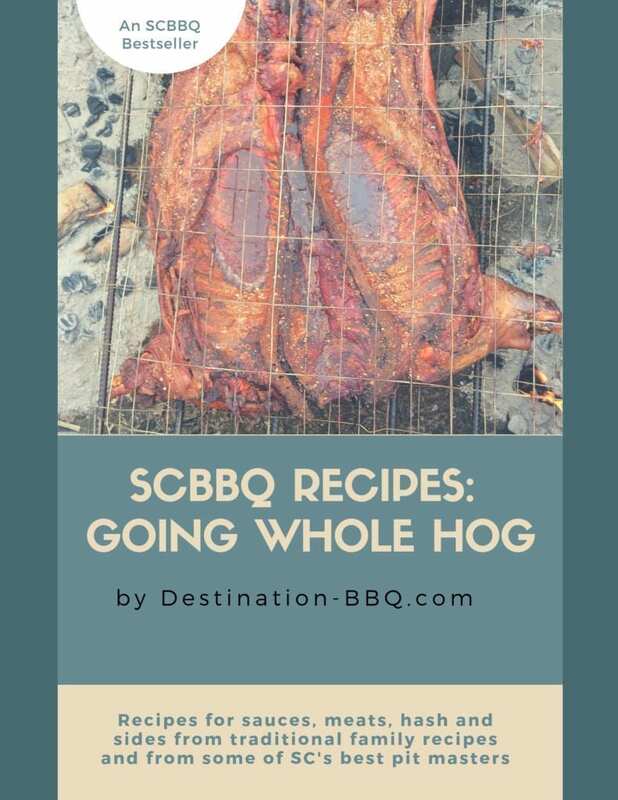 If you love SCBBQ like we do, you might also enjoy this 150-page cookbook which includes generations-old family recipes and those from some of today's top SCBBQ pitmasters, including John Lewis, Rodney Scott, Aaron Seigel (Home Team BBQ) and many more. I look forward to try each one of these outstanding restaurant.This will be a wonderful thing for every one to travel to these restaurants, but you should have also included Florence, and Cooper Store near Kingstree. Laney, what sauce types do you serve: mustard, vinegar, light tomato, heavy tomato? Easy mistake, but this is pretty much just a one-man show and we don’t have the budget (any budget really) of the State Dept of Tourism! I will make the proper changes to your listing. Thanks!